Author SrikanthPosted on 29/11/2016 12/01/2017 Categories BEST, BMTC, TicketsTags BEST, BMTC, Tickets2 Comments on USSD Bus Travel: Is it worth a try? Subsidies in Transport are visible everywhere. Tamil Nadu has kept its bus fares at rock bottom rates, gives free bus passes to school students, Delhi has dirt cheap rates with the maximum fares being ₹15 and ₹25 in a non-AC and an AC bus. So, what else? As stated earlier, extreme amount of subsidies bleeds the Transco of its revenue, and create a heavy indifference among the commuters to quality of services. Given that a vast majority of India’s transport services are entirely General Class services, revenues are inherently low. Similarly, in the case of Roads, a lot of people argue that Tolls are a “scam”, especially when they pay road taxes. Again, this is a false notion, one that can be explained if we cared to look at the Basic Difference between Toll and Road Tax: Toll is a User Fee. Road Tax is a Tax. I repeat, Toll is a Fee, and not a Tax. A tax is levied on a category of people on the basis of the income or what they own, in this case a vehicle. A toll, or a fee, is levied only on those who use the certain service or product, in this case the road. Many users accept this, but go on to further state that they are unjustly charged for using the entire section of a road rather than just the portion they used. Again, this is a flawed point of thought. In India, it would be a superhuman effort to set up Toll Plazas at every junction, man them [an automated one wouldn’t work, people will definitely find a way to avoid paying it then] and operate it. Of course, the Coimbatore bypass has 6 Toll Plazas on it, but 6 of them on a 28km two lane road, we all know the jam that occurs most of the time. Toll Roads and other BOT transport projects, such as BOT Railway lines, like the Mumbai Metro One, Rapid Metro Gurgaon, Hyderabad Metro, et al, have specific intervals at which they are allowed to hike fees and fares, which makes it easier to operate and break even. In case of Transcos, most of them are either under pressure from the state or municipal body to keep their fares low [Prime Examples being DTC, MTC, TNSTC]. A few exceptions exist in the form of BEST, BMTC, TSRTC, which by virtue of the autonomy enjoyed by them revise [hike or slash] their fares at a reasonable interval. One method of determining rates is market oriented rates, which is what Uber and Ola normally does. When demand goes up, fares go up so that those who are willing to pay extra for it. However, this isn’t a feasible solution in all cases. In such situations, BEST’s Happy Hours concept works well. Similarly, KSRTC and the Indian Railways have successfully emulated the aviation industry with dynamic pricing in the form of Premium Tatkal tickets. Every transport corporation has schemes to attract customers. 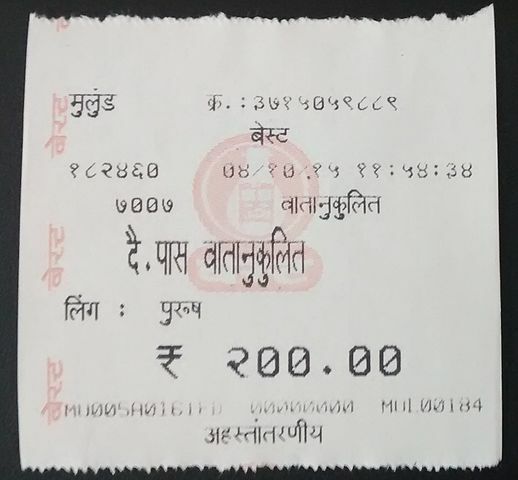 Similar to Toll Plazas offering a return ticket and seasonal pass, buses offer Passes and other forms of subsidies to frequent customers like the market. Now, to take this further, below is an article from the Foundation for Economic Education which talks about the ill effects of subsidies. Kevin Carson is a senior fellow of the Center for a Stateless Society and holds the Center’s Karl Hess Chair in Social Theory. He is a mutualist and individualist anarchist whose written work includes Studies in Mutualist Political Economy, Organization Theory: A Libertarian Perspective, and The Homebrew Industrial Revolution: A Low-Overhead Manifesto, all of which are freely available online. Carson has also written for such print publications as The Freeman.